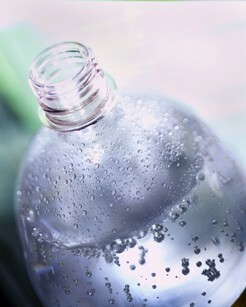 Bottled drinking water is the fastest growing drink choice in America, according to the Beverage Marketing Corporation. The reason for this is primarily because many people believe bottled water is safer or healthier than tap water. Some people simply prefer the taste and convenience of bottled drinking water. But whatever the reason, it is important for consumers to understand what is in bottled water, where it comes from, and how it is treated (if at all). 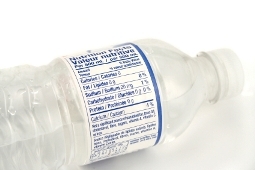 The FDA regulates bottled water based on EPA standards. Since bottled water is much more expensive than tap water, the EPA encourages us to know what we are buying. If this information is not provided, contact the bottler directly, whose contact information should be on the label. It’s also important to understand that nearly 40 percent of all bottled water is actually re-processed municipal water. Beware that many bottled water manufacturers use descriptive terms such as “glacier water” or “mountain spring water,” which may or may not actually identify where the water is from. These are unregulated terms used primarily for marketing purposes. Drinking water. This term is used loosely to describe water that is safe for human consumption. It is acceptable for bottlers to use disinfectants (such as chlorine) in amounts considered safe. According to bottled water quality standards, it is also acceptable for bottlers to add fluoride within set limits. Well water and artesian water. Both of these waters are tapped through a well, and the water may or may not be treated. Spring water. Water from an underground aquifer is collected as it rises to the surface or through a borehole. Water may or may not be treated. Ground water. A term used to describe either well water or spring water. Mineral water. To be called mineral water, the ground water must contain 250 or more parts per million of total dissolved solids. Distilled water. The distillation process involves boiling water, which kills microbes and removes the natural minerals in the water. The steam is then re-condensed and bottled. Sterilized water. This water can originate from any source but it has been sterilized and is free from most microbes, according to U.S. Pharmacopeia standards. Purified water. Another water that can come from any source but is free of most chemicals (i.e., no more than 10 parts per million of total dissolved solids). Purified water may also be free of microbes if treated with distillation or reverse osmosis, both of which also remove naturally occurring minerals.